Our most comfortable dress, to wear for every occasion. You can wear it with waist cinchers or with petticoat to give it more puffy look. 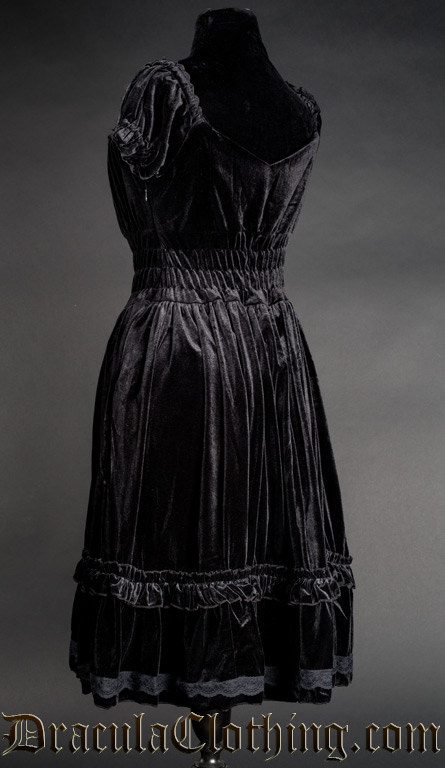 This dress is in deep black velvet material and features a hidden side zip and detachable belt. Another version with different measurements is available here. The bust and waist of our Gothabilly Dresses are very stretchy to accomodate a variety of body types. For the best fit, choose a size at least a few cm larger than your body measurements.